Solid 9 carat yellow gold claw set oval Australian black sapphire stud earrings. Gemstone: 2 x sapphire black oval 5X4 mm. 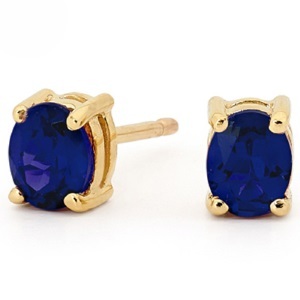 Type: sapphire gold stud earrings.